Your roof is going to get wet when it rains — that isn’t a secret. However, if the water remains on your roof after several sunny days, there is a chance that the roof will begin to sag. Sagging or drooping roof lines can mean that there is a leak present and that the leak has compromised the joists, rafters or sheathing. Sometimes, depending on the extent of the damage, the compromised areas can be replaced while leaving the remainder of the roof intact. However, if sagging is widespread, complete replacement may be necessary. Walking into a musty-smelling business is a sure sign of mold. Mold grows when moisture is present, and in minor cases, can be controlled by thorough cleaning and adjusting humidity levels. If mold is found to be the cause of the musty smell, it is extremely important to have the problem fixed right away — whether it’s a simple leak repair or an entire re-roof. Lingering moisture issues can cause major problems, including a variety of health issues. Having to place a bucket underneath a roof leak is more than just annoyance… it looks BAD! And failing to repair the problem can lead to severe water damage that can be seen on the ceiling, walls and even the floors. If your commercial building is showing signs of water damage, you should respond quickly. Stay ahead of major issues by periodically check for peeling paint and water stains on the upper levels. When and if you spot something, reach out to a professional to assess the situation. Often, if problems are addressed early on, you may be able to prevent the possibility of needing a complete re-roof. Your commercial roof should not have air pockets or bubbles in it. But, a damaged commercial roof can form bubbles and blisters in the roofing membrane over time thanks to the accumulation of moisture or air that has gotten trapped underneath. Basically, a roof blister or bubble is similar to a blister found on the skin. The ‘skin’ needs to be removed, the area needs to be cleaned, and then the bubble needs to be repaired. Localized repairs are possible, however, commercial re-roofing may be a more cost-efficient option. Unfortunately, a recurring bubble is usually a sure sign of roof membrane damage. And since water may be invading from another area, the spot that is bubbling may not necessarily be the source of your roof’s issue. Even though your roof might be intact, over time it can lose efficiency. What does a roof have to do with efficiency? Well, a roof can help reflect the sun, which, in turn, can keep your HVAC unit from overworking itself. Again with the water (UGH)! During the next torrential downpour, look outside to see if there is a similar amount of water coming through your drains. If you are noticing far less water coming through, it may be because there are sagging spots (as discussed earlier) or your roof drains may be clogged. If your roof drains have been clogged for an extended period of time, significant damage may occur. Heavy rains, high winds and various other extreme weather events can cause your roofing material to loosen. Ignoring loose material can lead to further damage, higher energy bills and, ultimately, shorten the lifespan of your roof. If there are a lot of areas that have loose material or you’re unsure of how long the material has been flaking or loosening, you may need to look into commercial re-roofing. This one is last for a reason! A commercial roof may look like it’s free of problems to the untrained eye. However, once a commercial roof reaches a certain age, there will constantly be small problems (that accumulate over time and become BIG problems). Continuous small problems and the cost associated with multiple repairs should be taken into consideration against the cost of a new roof. If your commercial roof is around 25 years old — or older — take a hard look at the problems you’re encountering. If you find yourself naming the issues listed above, it may be time to correct the problems for good! Commercial Reroofing: Do You Need It? Hopefully, after reading this article, you have a better idea as to whether or not you need commercial re-roofing services. If you are still on the fence about this decision or think it may be better to call for repairs, that’s okay! Unlike many other companies in the area, we won’t push you into buying a new roof that you don’t need. Instead, we will share information and do what we can to repair your commercial roof until you’re ready to make a complete change. 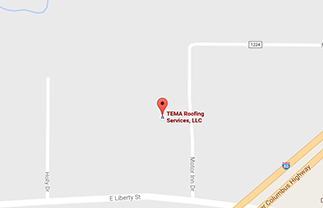 If you would like more information about commercial re-roofing, check out our blog!